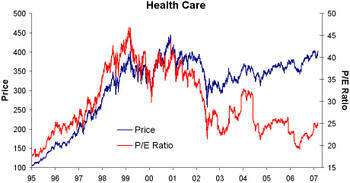 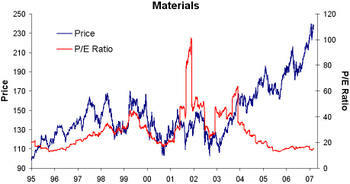 Below we conclude our historical sector P/E posts with charts of Health Care, Materials, Telecom and Utilities. 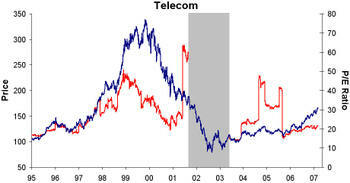 The grey shaded area on the Telecom chart indicates that the P/E was negative at the time. 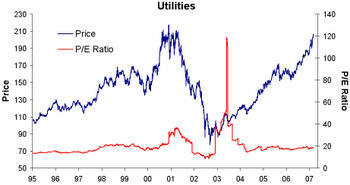 Here are parts I and II for those interested.